With Davao City growing exponentially, we expect influx of working professionals coming in from all over the region, expatriates, tourists both local and international. And along with the rising number of local population, this scenario will soon instigate traffic build-up going to and fro of workplaces and a high demand for decent accommodation and housing. 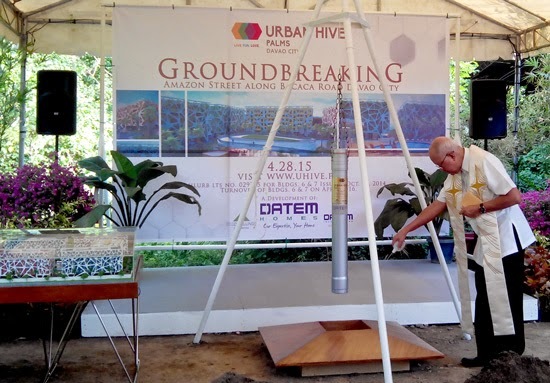 Recognizing this situation, construction company Datem Inc. through its development subsidiary, Eco Dwellings, Inc. has broken ground on April 28 its first residential condominium project in Davao called - URBAN HIVE PALMS as a response to this demand. 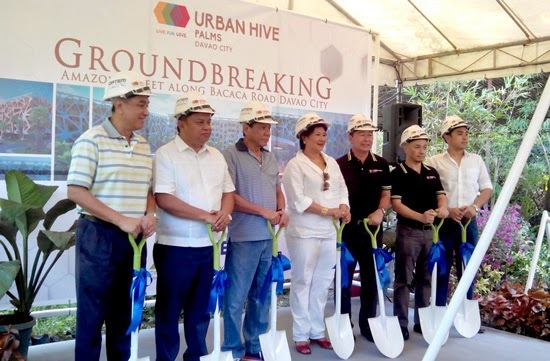 No less than Davao City Mayor Rodrigo Duterte led the groundbreaking ceremony at the project site, Amazon St., Bacaca Road here in the city. 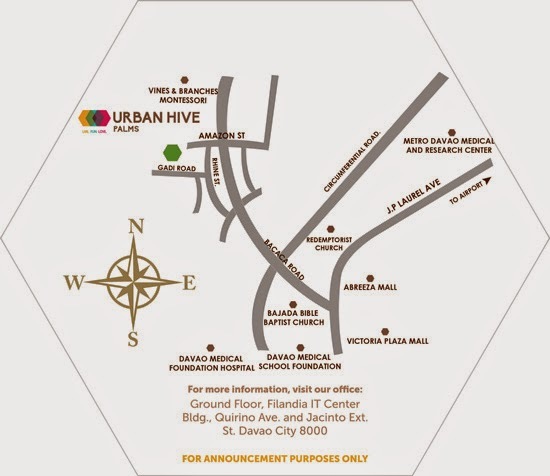 Urban Hive Palms is a 2.8-hectare development that will be composed of seven, low-rise six-story buildings. The complex will produce 852 units, all complete with a state-of-the-art amenities like, functions rooms, basketball court, adult and kiddie pools, fully equipped fitness gym, basketball court, strolling and jogging path around the complex. along with DATEM, Inc. Executives and Eco Dwellings' Officials. Engr. 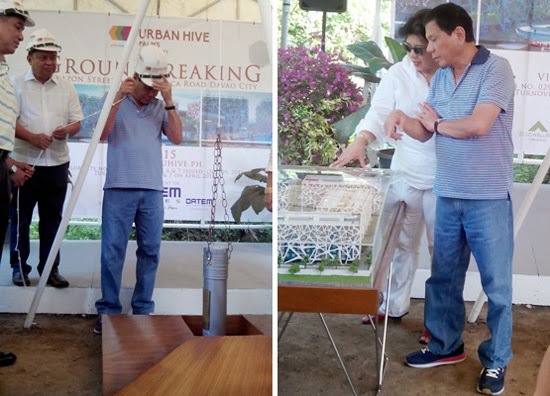 Arnulfo De Asis, Datem, Inc. President has briefed us that URBAN HIVE PALMS being a green building has conformed and has been certified by US Green Building Council to follow strict environmental standards. The complex will have its own water treatment and rainwater harvesting facility. The rainwater collected will then be used to water plants and greenery around the complex. 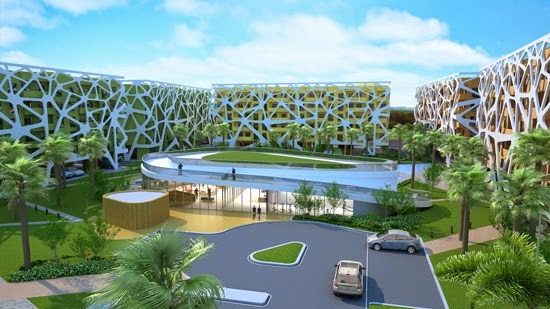 The project also boasts a unique architectural feature that highlights a hive-like enclosure, hence the name, Urban Hive. Said feature does not only make the building aesthetically pleasing, it also serve as a protection against direct sun and rain. One bedroom units sell at P2.8M, two bedroom units at P3.4M and P6 million for three bedroom units. Like how low is the low-rise? Six floors? I haven't been to Davao and it's the first time I heard/read about condos. Is it like Manila there now? This kind of investment is interesting. wow! 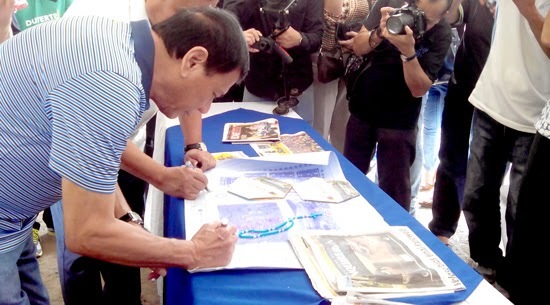 this is again good news for the locals in Davao. Talagang ibang level na ang city ito. amazing, the city is indeed booming more and more each time I read news about its development. This is awesome. Perfect for people to own their condominium and have a private life away from crowded places. Another high rising development there in Davao Ate, lots of things to do and place to live now there. Great options too! i recently read that Davao City is number 8 or 9 in the top 10 safest places in the world. And with this new boast in the City, mas maraming magkakaron ng interest to put up business and even live there.